Sunday July 13th 2014 proved to be a very important day in the world, particularly in the world of Soccer (which is known worldwide as Football), as Germany was crowned the champions of the 2014 World Cup Final against Argentina. Some may happen to know what The World Cup is and some may further understand that it is no less than the biggest single-event sporting competition in the world. I recognize and appreciate the beautiful game of soccer and was fortunate to celebrate this significant event with an extraordinary group of both, past and present, German volunteers of Heartbeet. It is with each year that Heartbeet welcomes one-year volunteers to Heartbeet. And, It is with each year that all volunteers are provided a unique opportunity for a healthy, safe and nourishing path of self-discovery; a path that leads to new friendships and to an ever growing circle of the Heartbeet family. An important part of this Heartbeet experience is the presence, the responsibility and the understanding of the intrinsic value that our farm and our animals provide for the nourishment of the individual, the community and the earth. This is a story of the World Cup, of the Heartbeet volunteers, of the Heartbeet farm and animals and of how all are relevant, appreciated and recognized at Heartbeet. So it is that Germany won the 2014 World Cup Final. 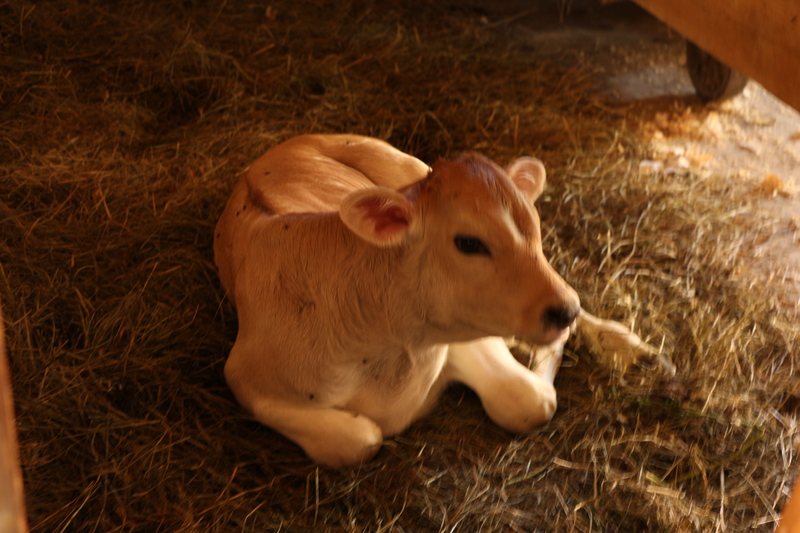 A bull calf was born at Heartbeet on the same day. Mario Gotze scored the winning goal in the 2014 World Cup Final for Germany. The Heartbeet bull calf was later named Mario Gotze in honor of this profound and significant co-incidental historical event. Mario – born on World Cup finals 2014!